Almost 150 million people--just under 10% of the adult population in 29 countries--are engaged in some sort of entrepreneurial activity, according to the Global Entrepreneurship Monitor. The survey demonstrates a statistically significant association between entrepreneurial activity and national economic growth. Especially hot areas of the world for entrepreneurs are Mexico, New Zealand, Australia, Korea, Brazil and Ireland, as well as the United States. Countries that are growing in "necessity entrepreneurship," because they had "no better work options," include India, Mexico, Brazil, Korea and Poland. Least likely to start businesses, according to the report include citizens in Belgium and Japan. The United Kingdom and various European Union countries also have low start-up rates. The survey started in 1999 with 10 countries, expanded to 21 countries in 2000, 29 in 2001, and will survey 40 in 2002. Years ago I was called on by several individuals promising unbelievable amounts of return on substantial investments. The offer was couched in "secret" dealings that couldn't be shared, "but trust us, you can become rich with just a single move or two..."
The message was this: There's a secret banking system (bank-debentures) covered up by the U.S. government in which institutional banks make astronomical returns--as much as 1,000% per month--but the system is available to only a select few with substantial money to invest. Sometimes even the Rockefeller family is mentioned as involved in such efforts, as a way to give added validity to the scheme, which entices some gullible investors. These scams are again making the rounds. But, according to Jay Adkisson, an asset-protection attorney in Irvine, California, this secret system doesn't exist. Though scam artists have used this ruse for years to lure those who are convinced such avenues do exist...but only for the rich! An alternative pitch is one in which Omega Trust & Trading Ltd. promises a 50-1 return on loans that would be invested in what the company calls "prime bank notes" with foreign banks. It's another variation of the classic bank-debenture pitch previously described. 2001 saw some exciting things happening at Universal Currency. 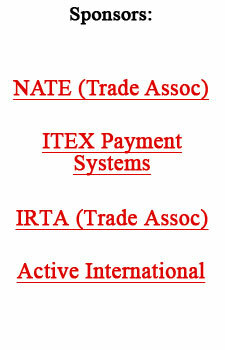 The membership of the UC grew by 20 accounts to 105 new trade exchange and corporate barter companies worldwide. The UC expanded into three new countries during the year and now has representation in 18 countries worldwide. Gary Lasater, President of TeleTrade and administrator of the UC, made a commitment to expand the UC website and system functionality utilizing a system with a base currency for the various IRTA Global chapters and handle inter-country transactions on an automated currency conversion basis. Canada lead the way in March of 2001, starting to function with the CAD (Canadian dollar) as their base currency. Then in May, at the IRTA European Chapter meeting in Milan, the euro was introduced as the base currency for this chapter. The final chapter conversion happened for IRTA AustralAsia in July with the AUD for their base currency. In 2002, the countries participating in the roll-out of the euro will have their country currency then switched to the euro as the base. System enhancements during 2001 saw the consolidation of the broadcast e-mail system as an automated function of the website listings. This page displays the quantity, price, description, picture, and the contact information, including an e-mail hyperlink. Also there is one other e-mail broadcast daily...the "needs" of members who could not find the item they were searching for, and have filed a need on the system. Other new and enhanced features included the automated e-mail confirmation of any approved transactions (whether approved via online, e-mail or telephone), a new statement format, and automated delivery of statements as PDF-format attachments to e-mails. Trade Limited says its auction site is attracting a new breed of client, those joining the exchange solely to be involved in their auction services, which the company says is doing spectacularly well. Annual sales are expected to increase three-fold in the coming year. According to John Attridge, Director of Brokering, their clients really get behind the auctions, and brokers stimulate the interest of key clients and often the sale prices. Trade Limited selects its auction times so they close within an hour of each other, so brokers and clients often resort to the phone to get their winning bids in. "It's the merging of on-line and the traditional auction excitement," Attridge related. "We sell $250,000 per month through the auction site, which is a great addition to the monthly bottom line." Entrepreneurs have expectations of economic growth, according to a monthly survey by the National Federation of Independent Business, a small business lobbying group in Washington (DC). Of those surveyed, 42% expect a better economy in six months. In the meantime, however, smaller companies continue to suffer, cutting prices to compete. David Siegel, the owner of Orlando-based Central Florida Investments (CFI), one of the world's largest time-share developers, is leading a group that wants to buy the Orlando Magic basketball team. In 1996, readers of BarterNews learned how Siegel and Allan Chernoff, who the magazine interviewed as he handles all of the barter activities for CFI, worked with 70 different vendors. The article was an inspiring, fascinating and very informative story. It is now available as part of the FastStart Program I, for more information go click here to FastStart.